Always dreamed of having a website for your business? At SocialMedia Designs we can take your dream and turn it into an obtainable reality. In today’s digital world having a online presence is essential for not only representing your company but also for giving your customers a fast and convenient way to see products, news, and other pertinent information related to your brand. With a custom built website by SocialMedia Designs your company site can be everything you always wanted, and everything your customer will ever need. At SocialMedia Designs we work directly with you to decide the appropriate web design package for your individual needs. Just as you know each consumer of your product brings a little something different to the table, here at SocialMedia Designs we treat every client as a new and unique experience. By offering a variety of options we will make your site look and function exactly the way you want. The SocialMedia Designs standard is always fast, effective, and up to date. SocialMedia Designs specializes in offering your customer a helpful and hassle-free shopping experience. E-commerce allows you to keep track of your orders, current inventory, and customer transactions. All in real time. Our team will sit with you to design a E-commerce site that best fits your customers and your overall product strategy. This might include customizing a preexisting open-source platform or, if need be building a custom solution from the ground up. It's a busy world we live in and we understand that your consumers are always on the go, so why not go with them? Harness the power that mobile technology gives us. Why build only for desktops? 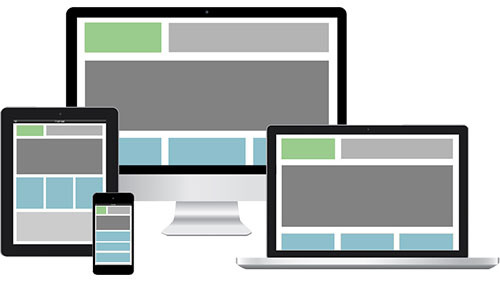 Part of being a responsive business is keeping up with all the current technological trends. Here at SocialMedia Designs we want your business to be accessible on every platform whether it be a laptop, tablet, or mobile device. Make sure your site is always available, dynamic, and as intuitive as your customers expect. We strive for the best customer satisfaction as possible here at SocialMedia Designs. That's why we don't just design and build your website, but also stay involved throughout the many facets that come after the initial site creation. From website hosting, site maintenance, information updating, to even technical support we are here to keep your site working and functioning to the utmost standards. © 2019 SocialMedia Designs – Citrus County Web Design and Consulting.